Hello everyone! 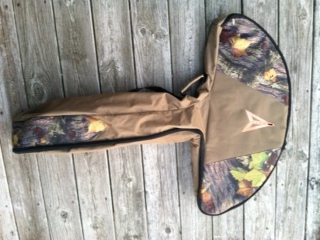 I wanted to provide you with a link to my latest product review on the Ladies in Camo website. While you are there please check out all of the product reviews and hunting opportunities Ladies In Camo has to offer. This entry was posted in 3006 outdoors, crossbow, deer hunting, Double J Outdoors, Hunting on the Eastern Shore of MD, Hunting tips, hunting with jo, Ladies In Camo, Maryland hunting, Products reviews, Uncategorized, Womens Hunting. Bookmark the permalink. A new look in 2015!